When speaking about parameterization of a discrete surface we really mean the assignment of texture coordinates to the vertices of a mesh in VaryLab. This enables us to draw images on the surface and do processing in this image space. We can do re-meshing by introducing new vertices at some locations on the mesh guided by some pattern in texture space, e.g., a quad or triangle pattern. See this post for a description of the re-meshing capabilities of VaryLab. VaryLab supports a parameterization scheme called discrete conformal parameterization for triangle meshes. We implement an algorithm recently published here. To parameterize a mesh conformally in VaryLab you press the "Unwrap" button in the Discrete Conformal Parameterization panel. There are a number of settings that define how the parameterization algorithm treats your mesh. The default settings should work well for triangle meshes that have one boundary component as in these pictures. These settings create a geometry in texture space where the edge lengths of the boundary edges are the same as in the mesh's geometry. 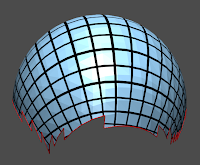 VaryLab supports the display of textures on meshes that are parameterized. You can select a texture from the "Content Appearance" panel. The default textures included in VaryLab are the re-meshing preview patterns quads, triangles, and hexagons. 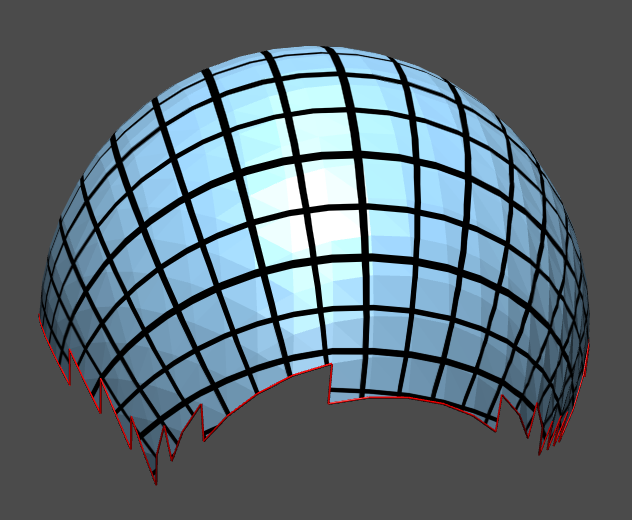 You can adjust the scale, position, orientation, and shear of the texture. These texture settings work also as preview for the re-meshing processor of VaryLab. For meshes with one boundary component we can define more complex boundary conditions. 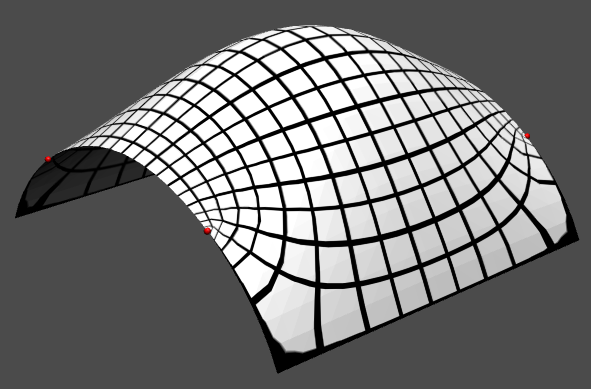 For instance we could select four boundary vertices as the corners of a rectangle in texture space. For this you have to select the four boundary vertices and edit their properties in the "Custom Vertices" panel. 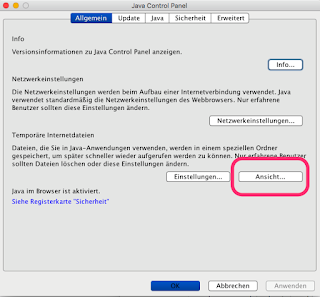 Check the "Custom Theta" check box and set their value to 90 degree. The global boundary options in the Boundary panel should be set to Conformal and Straight. Hit the Unwrap button to create the parameterization.